I’ve struggled with grief, sorrow and the residual loneliness it brought since I was thirteen years old. It affected my life so deeply that it almost derailed my soul purpose. When I was in college my lifelong friend, Shuby, was killed in a freak car accident. Five years earlier, my dear friend Marsha had died suddenly after emergency brain surgery. The devastation I felt defied description. Not only was I was angry, I was furious with God. After Shuby’s death, I went on a suicidal binge of drinking, partying, and experimenting with drugs. I felt I had nothing to live for with my two best friends gone. I felt abandoned and didn’t understand why they’d left. I didn’t know who I was or how to be without them. I lost my way and it took me time to recover. Fifteen years to be exact. 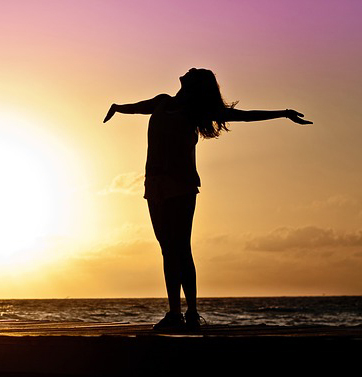 Using the wisdom of the Akashic Records, I have worked on various issues relating to that trauma and the connected feelings of abandonment and unworthiness. 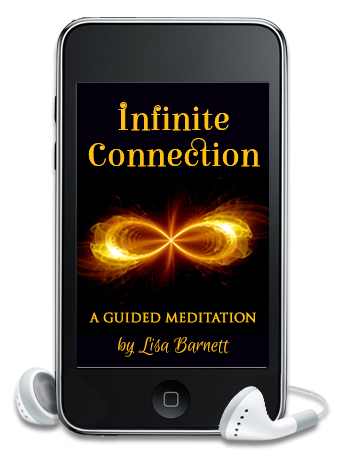 I share this story with you because I want you to know that negative emotions like anger and grief are often tied to unresolved issues from past lives like incomplete soul contracts, past-life vows and karma. These issues feed feelings like grief and anger. With the support of the Akashic Masters, I uncovered and resolved the experiences that created those emotions, and freed myself of the shackles that kept me bound to misery. I am proof that it is possible to release old stuck energy and recycle it for the highest good of all, including ourselves. I’ve learned that when you release heavy, dense, and low-vibrational energy, you begin to feel lighter and more expansive. You begin to get glimpses of why you are here and have the energy to begin living it. I have no doubt I’m living my purpose because I accepted the guidance of the Akashic Masters and cleared out the past life experiences that created my issues around abandonment. I trust the Akashic Masters, so I didn’t hesitate (OK, maybe I pushed back a little!) when they told me I needed to write a book of prayers to support others who want to fulfill their life’s purpose and create their soul dream by living a live that is free from negative ties to the past. 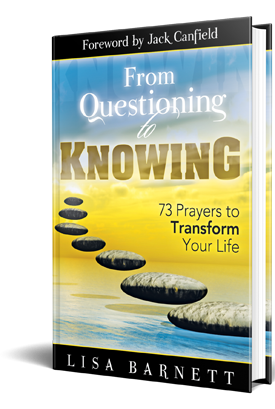 My new book, From Questioning to Knowing: 73 Prayers to Transform Your Life, was released this month and is already showing people how to release anger, grief and other negative emotions so they can experience their true lives. If you hurry, you can still access the many free gifts I’m giving away to celebrate – even if you don’t purchase the book. Claim your free gifts and discover some of the many ways you, too, can raise your vibration, which benefits not only you, but the world! There’s no need to be stuck in anger, grief or any other negative emotion. You can choose to take the next step on the path to freedom. Claim your free gifts today! Thank you Amber Light. I appreciate You. Big Hugs and lot’s of Love to You! Wow Lisa, I had no idea. No wonder you are such a wonderful Vessel of Compassion. This is where my entire family is stuck! Did you get the free gifts Natalie? They are helpful as is the book I just finished with 73 Prayers to Transform Your Life. Just click the link in the blog. I do have your first Book. May be one day this new one too.